This belief and a form of perception of Truth awaken some spiritual awareness in all, in the sense that humans become aware of the fact that there is more in a human being than the mind is led to believe. Therefore all structures and forms of beliefs are falling down, fading away or mankind is simply stepping away from that in order to step into the Heart of knowing. Such knowing ignites the higher heart of understanding about where one comes to see and hold the vibration of truth within each resonance field of existence. As all exists as a vibrational wave of consciousness, one forms the other to be continued. It is fed by the eternal flame of one's true heart and what it wishes to experience. We impart that understanding of knowing that our vibrational consciousness is of pure Love and compassion. 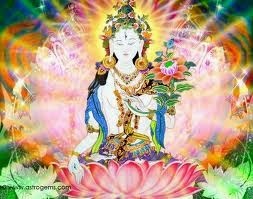 We lead you all forth into the wisdom of higher integrity, sophistication and Love of the eternal Mother and Father Flame of existence. We lead your understanding into the waves of Higher Octaves so that you can see your own true Flame mirrored through our beloved home called Venus. It is therefore that our Venus is shining even more brightly in the upcoming days as we beam our complete Love and understanding onto you all. It is there for eyes to see and hearts to receive. We assist through our radiance of refinement as Love fills the gab of understanding. It is only the Love One shall allow to take in, in those areas where one cannot understand what is unfolding. Love shall come and make you see as you feel the experience of its effect upon you all. As you gaze upon our beautiful Venus ~ breathe in the Light we share with you and take in the flames of Love which spark from our Stellar nation onto you all. Feel the connection we now make with you all through your hearts and feel our calling to each and everyone of you that we are here to assist you and to pass on the Love we share and feel for you. 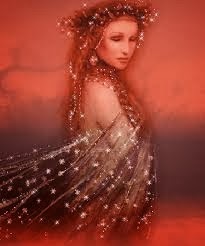 Venus will become brighter at certain days to come, as it already is. There are Stellar and Universal codes beamed upon you all, bathing each and every soul on this plane to elevate the world in a higher consciousness and bright awareness. Love shall seed this Earth into Higher Dimensions as your Earth is our dearest sister and we Love Her as we Love you all. We walk amongst you, as we linger in each and everyone of you. Yet some of you are more strongly aligned with us during these moments as they can feel the inner flame beaming and calling them home. And so you make your homes here on Earth, it is what you came to build again. 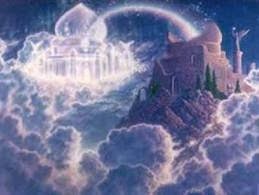 Truly all your homes lie where your consciousness shall vibrate in and this is on many more planes than only this one. So you are Home wherever you are and you are ALL because you are One. You may recognize us in the sparks of many eyes as this is how we present ourselves to you: as the sparkles of Love that ignite through one's own heart. We are in the midst of many waves of Love that are being passed onto your hearts from all around the Globe through the many lightworkers as well as from other planes beyond the Earth. 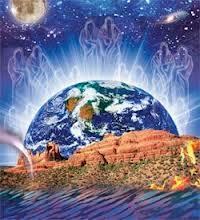 Terra Gaia is truly beamed with and bathed within LOVE. Open your hearts and receive this Love so that your Earth can replenish Her soul and feed it with the Light Flames of Love. You are the ones that Gaia has called to assist Her in Her process of unification and Ascension to enable Her freedom out of this Material density. You are all appreciated for your Presence and for your eternal Love for Gaia as this is what has brought you here in the first place along with the experience of God's own Divinity of Self into Human form.